San Gabriel River Estates is a wonderful gated equestrian community perfect for horse lovers. It is located east of Georgetown off of Hwy. 29 & CR100, right on the banks of the San Gabriel river. Most of the acreage home sites are app. 7 acres, and some actually adjoin the San Gabriel river. Residents have San Gabriel river access, and have a very nice park there as well. Some of these beautiful homes are waterfront homes on the San Gabriel river. Shoppers will like that the new Wolf Ranch shopping center is only about 15 minutes away, as well as the Round Rock Outlet Mall being about 20 minutes away. 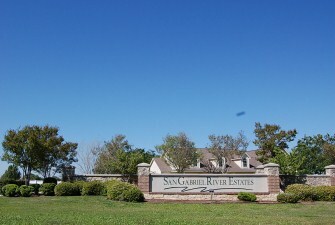 Homes for sale in San Gabriel River Estates typically run from the low $400's - $900's. Hutto elementary, middle, and Hutto high school.